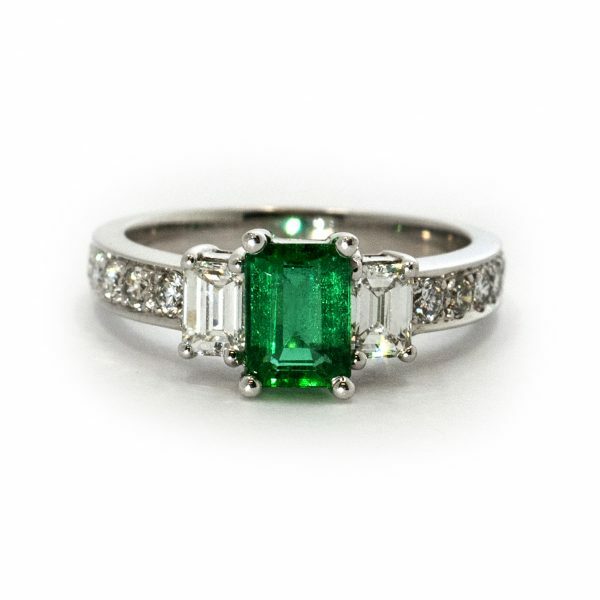 This stunning, three-stone ring is thoughtfully designed so that the 1.01 carat emerald center stone pops. 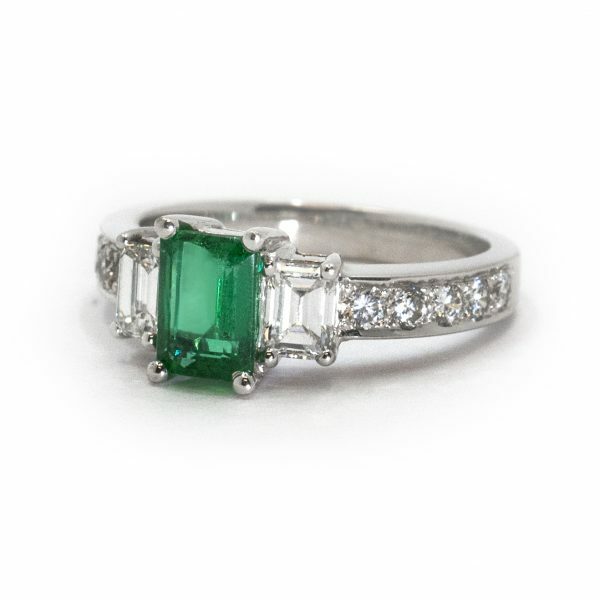 With two beautiful emerald cut side diamonds, this ring is sure to be a show stopper. 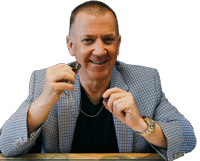 This ring has .96 total diamond weight and is made out of 14 karat white gold.